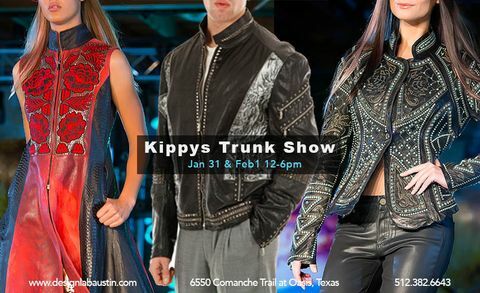 Join us at Design Lab for an exclusive trunk show featuring Kippys Couture leather apparel for men and women. A favorite of Madonna, Beyonce, and Stephen Tyler, Kippys is hand-made with the finest Italian leathers and embellished with Swarovski crystals, nickel-plated hardware, and much more! Stop by on Sunday, Jan. 31st from 4-6pm for a wine reception and meet the mastermind behind the brand, Designer, Bob Kipperman. Only at Design Lab! FULL TILT is a high octane fashion show held each year during the UNITED STATES FORMULA 1 GRAND PRIX™ race weekend in Austin. Fashion's elite mingle with international Formula 1 enthusiasts for an evening of Style in the Fast Lane. 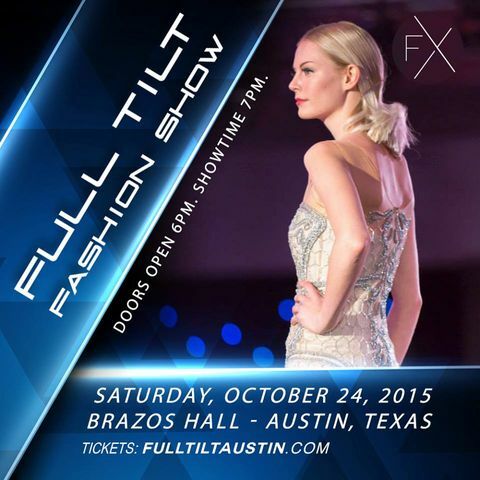 The show features the best of international and local designers, high fashion models, lights, cameras, and plenty of action.Full Tilt is a high octane Fashion show during Austin's US Grand Prix weekend. The event is held at Blu at the W Hotel. Get your tickets at www.fulltiltaustin.com before they sell out! Join us for a FREE, FUN, family-friendly evening with our new childrenswear line, Evan Brooke Ethical Clothing! Meet & Greet the Designer, Make your very own "Knotty Necklace" & enjoy refreshments at our kid-run lemon-aid stand! Donations will be accepted for disaster relief for the earthquakes in Nepal. 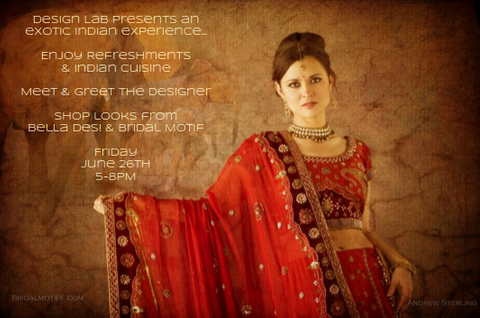 Design Lab presents an exotic Indian experience with Jaya Shukla, designer of Bella Desi & Bridal Motif. Beat the heat and look cool. Introducing Bella Desi Summer 2015 styles of trendy basics and wardrobe essentials in soft cottons, silks & beautiful organic yarns. Enjoy refreshments & Indian cuisine, Mehndi Henna and Bindi, meet & greet the designer and enjoy Bollywood music while shopping ready-to-wear looks from her Summer 2015 line. Join us Saturday, June 13th from 5-8PM for the official launch party of Sevelin Cosmetics! Enjoy door prizes, refreshments, Meet & Greet with International Makeup Artist Duane Sevelin & enter to win a celebrity makeover! Mark Kalen X Studio Hut Photography Event! StudioHut and Design Lab present an evening with one of Austin's Stars, professional photographer Kevin Gourley. Join us at Design Lab on Thursday, May 21st from 7-9PM for this opportunity to network with other photographers and share new ideas. Enjoy refreshments, Door Prizes, and Special Discounts on some great equipment from StudioHut and Mark Kalen! Mark your calendar for Saturday, April 4th from 4-6 PM! Featuring Jessica Faith Marshall's S/S 15 collection & the debut of Chelsea Riane's new brand, Jane of All. Enjoy Cloud 9 Cotton Candy, live music, mingle with designers and models, and get a taste of high fashion right here in Austin! Model Casting Call hosted by Wilhelmina Austin & Design Lab! GET DISCOVERED! MODEL CASTING CALL HOSTED BY Wilhelmina Austin and Design Lab, Saturday March 28 from 1-4pm. Wilhelmina Austin is searching in the Lake Travis area for their next top models. Wilhelmina Austin, an affiliate of internationally renowned Wilhelmina Models, Inc., is a licensed and bonded, full-service boutique talent agency representing models and actors in motion pictures, television, animation, radio and television commercials. 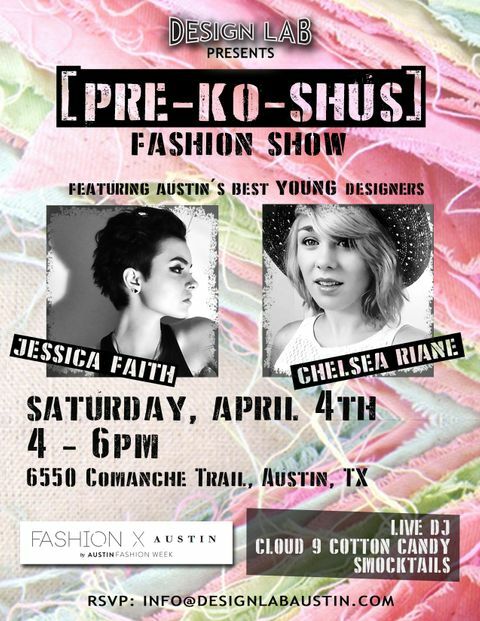 Walk in the highly anticipated [PRE-KO-SHUS] Fashion Show on Saturday April 4th as part of Fashion X Austin / Austin Fashion Week too! Yee Haw! Grab your boots and get ready to boot scoot the afternoon away. 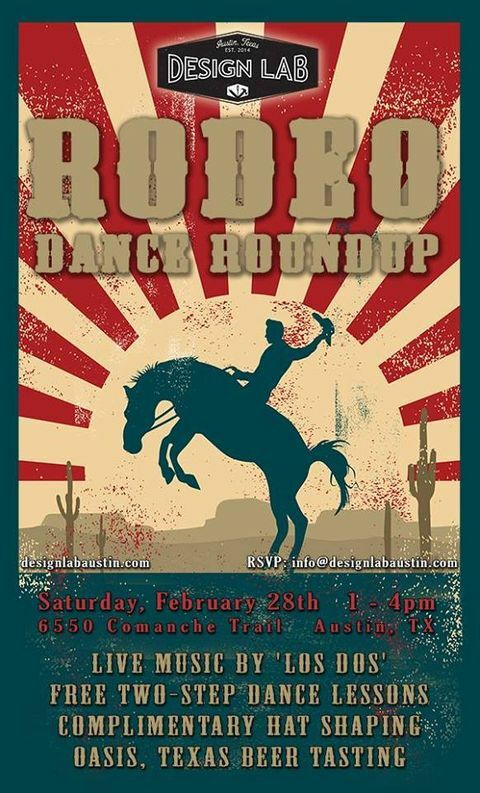 Join us as we celebrate our FIRST EVER Rodeo Dance Roundup Saturday, February 28th from 1-4 pm! 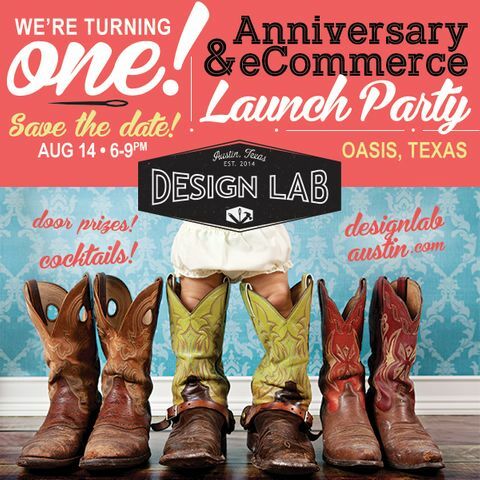 Enjoy an afternoon of FREE two-step lessons from Juan Saldana, LIVE MUSIC by 'Los Dos', hat shaping from Hatbox: A Modern Haberdashery, beer tastings from Oasis, Texas Brewing Company and up to 25% off of TEXAS Outlaw Boot & Fashion!